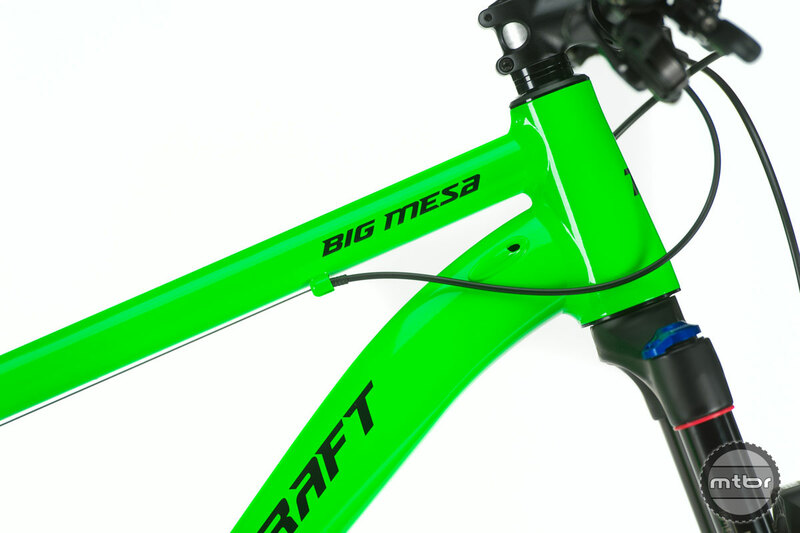 The new Big Mesa 26+ is for riders in XS and small sizes wanting true “plus” size tire capability, but in a complete bike package which fits riders from 4’10” to 5’6″. 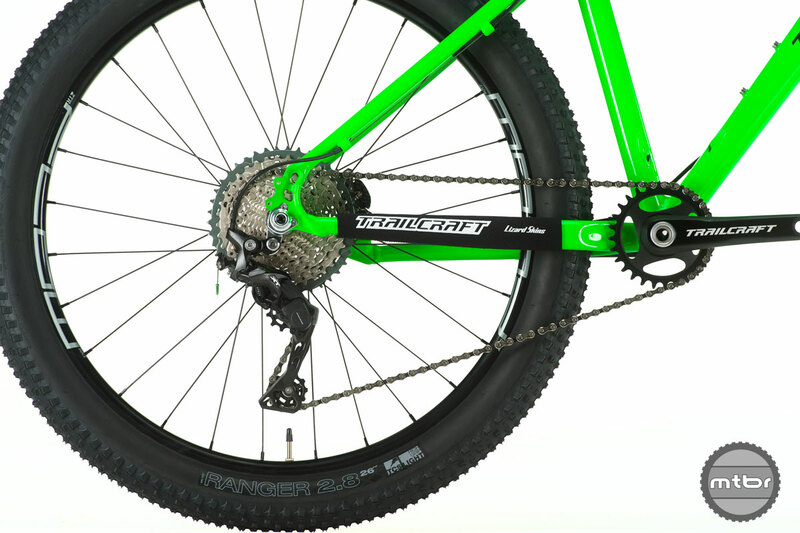 Trailcraft Cycles was created to answer the need for high performance, lightweight, kids XC bikes. With a proper selection of high end components mirroring those equivalent of adult spec’d bikes, Trailcraft is considerably lighter than the most current bikes available today. Now Trailcraft has unveiled its new Big Mesa 26+ for riders in XS and small sizes wanting true “plus” size tire capability, but in a complete bike package which fits riders from 4’10” to 5’6″. They’re also keeping overall bike weight as low as possible, starting at just 24 pounds. Shimano brakes offer superb stopping power. The Big Mesa 26+ comes standard with 26×2.8 WTB Ranger tires, but will also be able to run 27.5×2.35 tires for those wanting some variety. Each frame is made with 7005 series aluminum tubing and gets internal rear brake and stealth dropper post routing. Boost rear spacing, and 27.5 RockShox Reba or Judy 120mm travel boosts suspension fork up front. 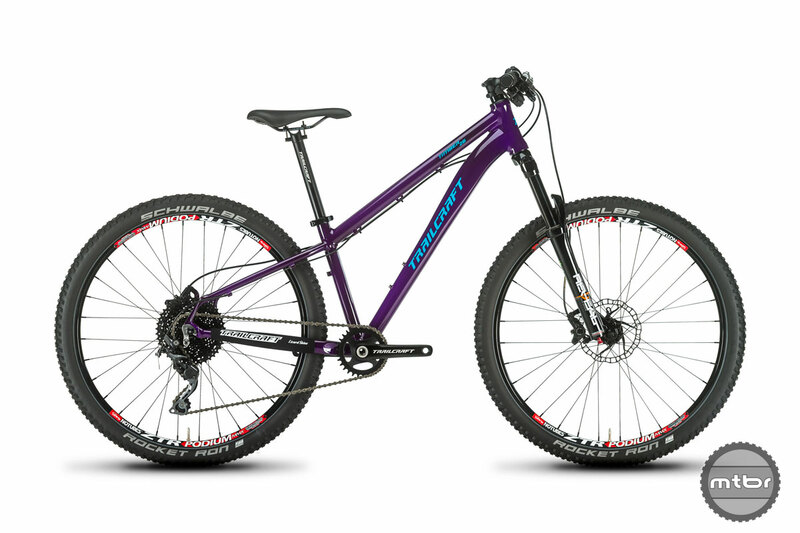 Trailcraft Cycles Big Mesa 26+ in Timber Purple. 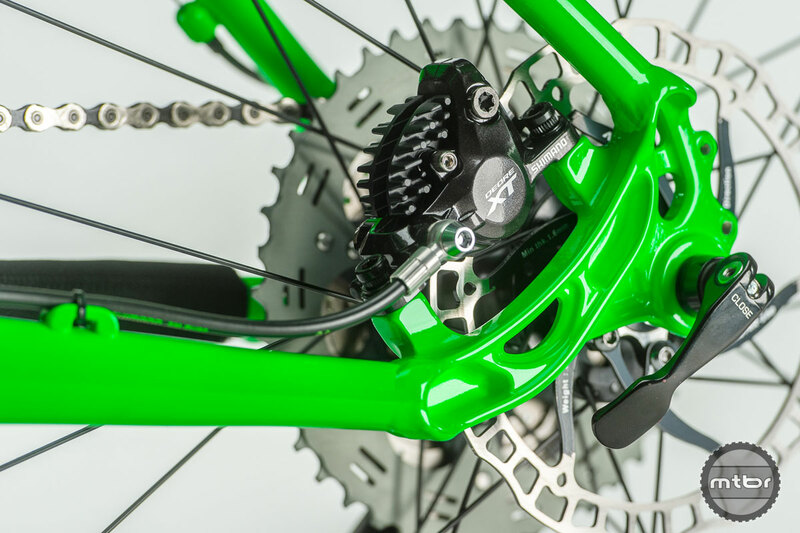 They are also offering five color options, as well as their own selection of front direct mount chainring size. Each riding area is different, some flat, some super hilly, so they have 26, 28, 30, and 32-tooth chainring options each rider can choose what works best given their terrain. Each complete bike model comes with an 11-42 cassette so there is some great gearing range potential. 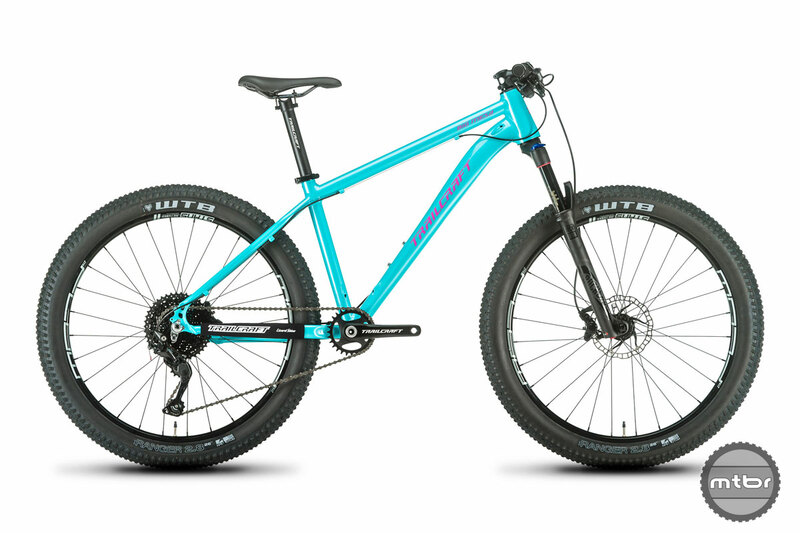 Trailcraft Cycles Big Mesa 26+ in Princess Blue. Each complete bike model comes with an 11-42 cassette so there is some great gearing range potential. Internal cable routing keeps things tidy. 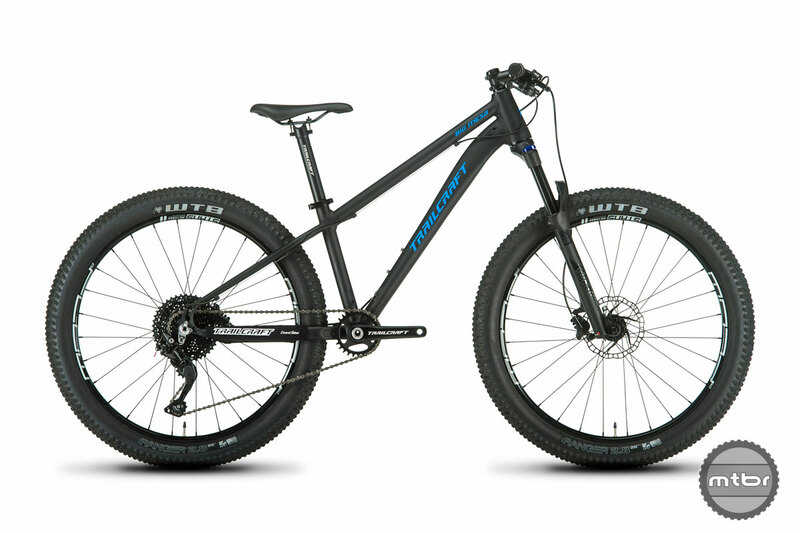 Trailcraft Cycles Big Mesa 26+ in Black. Trailcraft Cycles Big Mesa 26+ in Blue. Nice bike, solid geo, way to go building bikes that fit smaller folks! Now they just need to make it in Medium and Large and supply it with Maxxis 26×2.3 tires, and they’ll really be on to something.